Billed as the first air-conditioned mall west of the Mississippi, Chris-Town Mall opened with huge fanfare in 1961. 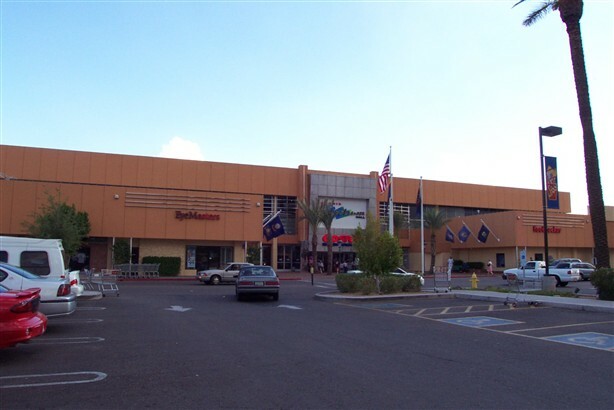 Originally, the mall opened with four anchors: JCPenney, Montgomery Ward, local Phoenix department store Korrick’s, and UA Theatres. Bullocks, a department store chain from Los Angeles, was added soon after the mall opened. In the late 1960s, the entire Korrick’s chain became The Broadway, another chain from Los Angeles. 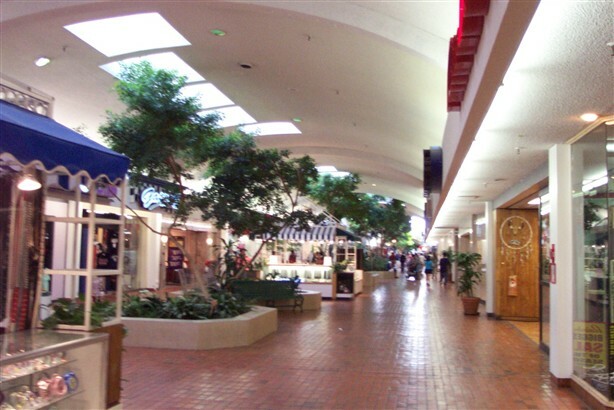 The mall chugged along into the early 1970s as a regional destination. People from all over the entire southwest came to the mall to shop in the cool climes and some even thought the mall reminded them of New York. 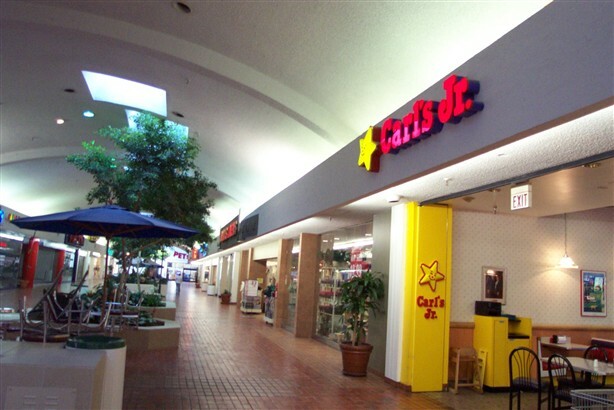 JPB Publishing has created an excellent website dedicated to the early days of Chris-Town Mall. Check out the different courts, especially the court of birds in cages which hung down into the mall. Truly amazing. Throughout the 1970s and 1980s, traffic declined markedly at the mall. 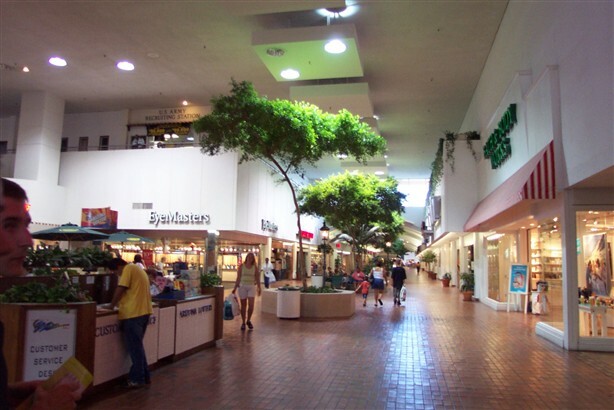 Other, newer, brighter centers with more impressive features opened in the Phoenix area and the mall’s trade area made it just another mall. A dated mall, at that. Rather than keeping up with renovations, citing lower traffic, stores began to leave in droves. In 1985, the Bullock’s at this mall was sold to Dillard’s. In 1995, The Broadway was purchased by Federated Stores. 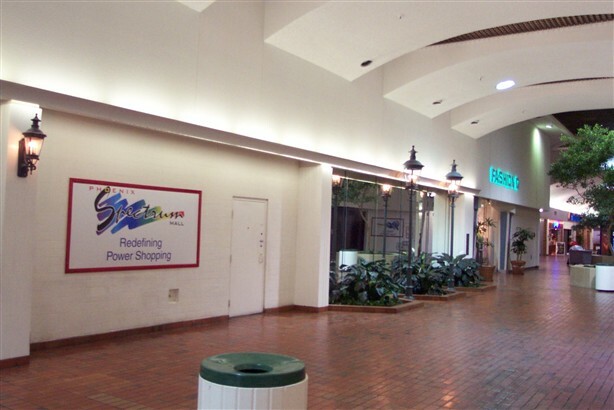 Rather than converting the location to a Macy’s, Federated chose to close the store. In 2000, the Montgomery Ward location closed when the chain went bust. 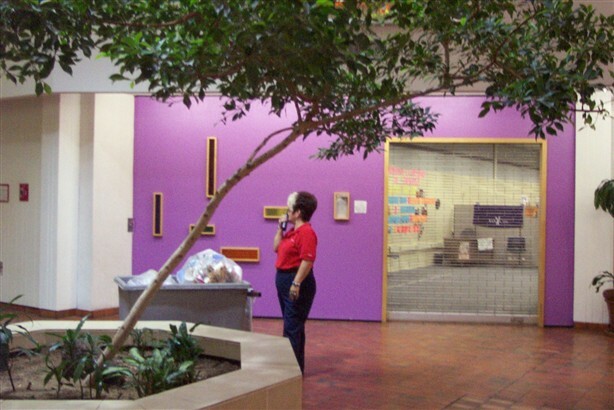 Losing a mall’s anchors is usually a death sentence, forcing rapid redevelopment or worse yet, abandonment and blight. Not so in the case of Chris-Town Mall. After The Broadway closed its store and Federated chose not to replace it with their Macy’s brand, the mall’s management quickly enticed Wal-Mart to build on that site. 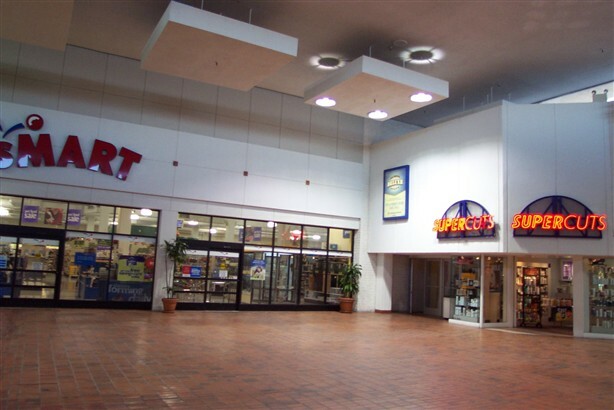 In 2002, the former Montgomery Ward space was divided into PetsMart and a Ross clothing store. Also in 2002, longtime anchor JCPenney closed and was quickly replaced by a Costco warehouse store. The UA Theatre closed, but also quickly reopened as the Phoenix Spectrum Cinemas. 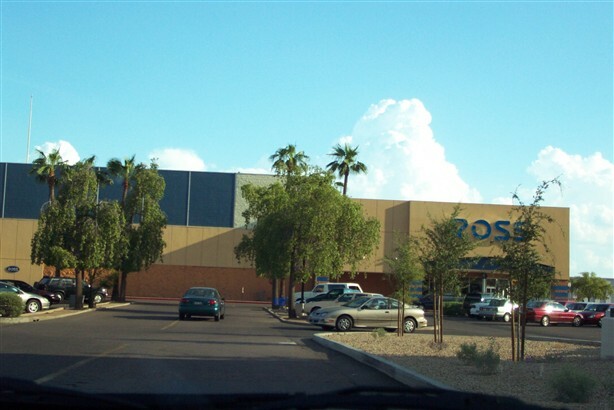 Wal-Mart expanded its store into a supercenter, and the mall was also renamed Phoenix Spectrum Mall. Dillard’s also closed in 2004. The mall seems to have died, but quickly reinvented itself as an alternative, ancillary mall. It no longer has the top-tier of anchors or in-line stores, but it does okay mostly as a neighborhood and discount center. In 2006, plans were announced to replace the empty Dillard’s and JCPenney announced it would be returning to Spectrum Mall. How often does an anchor leave and want to come back? The mall’s occupancy currently stands at about 88 percent. 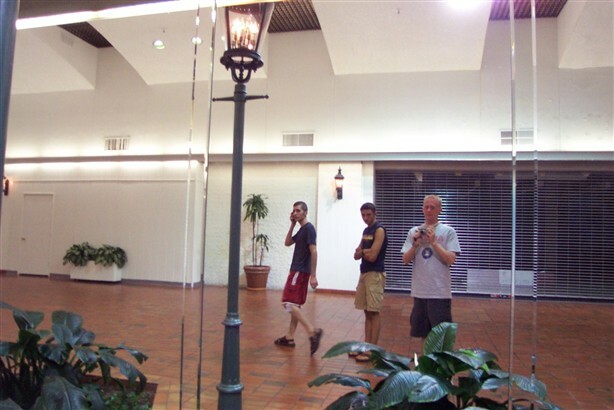 We stopped at the mall during some free time we had in Phoenix during a cross-country road trip in July 2004 and took the pictures below. 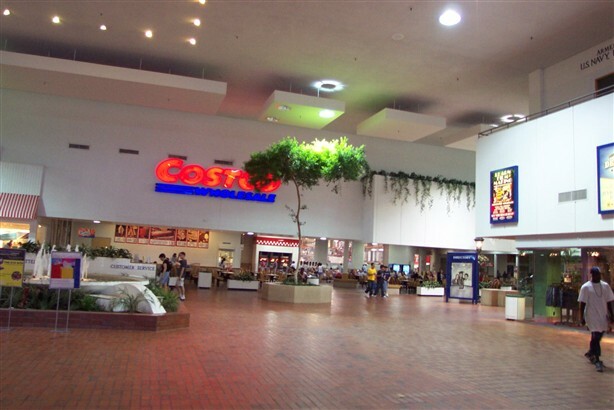 We were amazed at the decor of the mall, and how the mall had placed “alternative” anchors such as Costco and Wal Mart, and how successful it seemed to work. We also particularly enjoyed the antics of one of the mall’s maintenance workers, a lively middle-aged woman who wore a bee hive bufant hairstyle with a white stripe in the middle (like a skunk). Watching her bark into her walkie-talkie became one of the running jokes of that trip, and we won’t soon forget her. They’re gonna tear down half the mall and replace it with a Penney’s and Target. It’s rare that a mall that old still looks like its original self, but Chris-Town truly looks like it did in the ’60s pictures, albeit a lot less colorful. Facinating! Hmmm, I was under the impression(for some reason) that this mall was already torn down a few years back, after reading up on it at deadmalls.com. Nice to find out that, in actuality, it is still open! 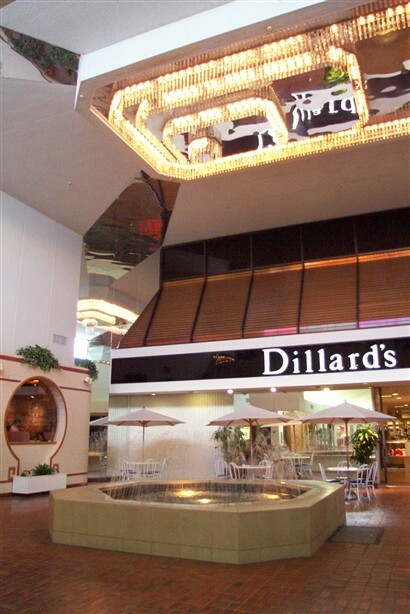 It’s really sad though I’ll probably never get to see that mirrored, purple and white Dillard’s sign in the interior of the mall, knowing what state I live in(Illinois). That’s(to me, anyway) the most unique Dillard’s sign I’ve ever seen, in all my time of reading up about dead malls. This just in: Phoenix Spectrum Mall is now Christown Spectrum Mall! 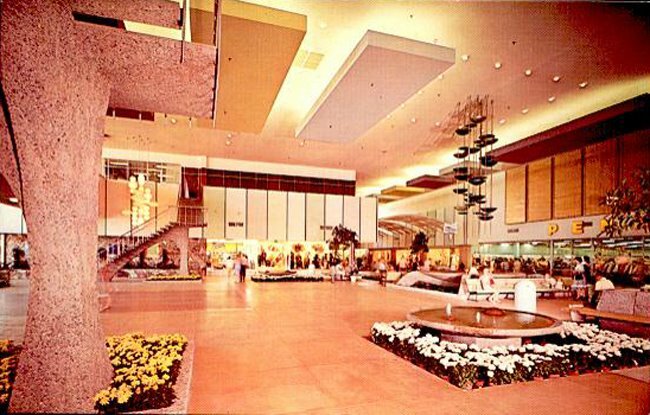 I was too young for Tomas Mall and by the time we moved to Phoenix in the mid 70’s Thomas Mall was pretty much a memory awaiting the developers wrecking ball. But Christown I remember fondly. Although they had moved the bird cages out of the mall before the mid 70’s Along came these great Sand Scupltures throughout the mall. There was an underground lounge called the Janitor’s Closet and all of the store spaces were being used. It also hosted many events on the weekends. Originally purchased from an old swedish farmer named chris who lived in a shack on a small plot of land behind the mall after it opened. JC Penney has just reopened its ChrisTown store, a oddity in that Penneys moved out of its original site (where Costco is now) out to MetroCenter (into the former Rhodes/Liberty House/Joske’s/Dillard’s site). Who’s the guy in the dark gray shirt? It might be Caldor or whoever, but I have a few more ?s. With the new addition, will Ross and PetSmart no longer open into the mall? PetSmart no longer opens to the mall; Penney’s is in the way. Ross never did oepn to the mall. An update…the Chris-Town name is back (sort of)..It’s now called Christown Spectrum Center. The west wing of the mall was demolished and replaced by Big 5, Penneys, Petsmart and Ross (who share the ex-Wards bldg, the old blue tile wall is still visible on the South side of Ross). A Harkins mega-screen theatre has replaced the old UA miniplex and the old Chris-Town theaters. An a Super Target is now where the Bullock’s used to be. This has already been covered within the comments. Does anyone have a picture of Wal-Mart Supercenter’s interior entrance? In the plan shown by Bobby, does anyone know what that strange spiral thing next to Harkins Theatre is? I’m sooo glad the mall is going back to the original name “Chris Town”. It was truely named after the old (then) Swedish farmer, Chris! He used to go around barefooted back in the 40’s when farming all that land from Camelback Rd to 2nd Ave all the way to 19th Ave and Bethaney. I used to live at 44 W. Colter and Chris would let us pick all the lettuce we wanted. Good ‘ol Chris. Here’s to Chris Town! My friends and I used to go visit ‘ol Chris pretty often when we were young. We loved going to visit Chris, and his horse, Bronco. I was sad when they stopped calling it Chris Town, and I’m very glad that they’ve put his name back! This is the only enclosed mall in the US that I found which has a Walmart Supercenter as an anchor. Are there other ones? Hypermarkets are very rarely anchors of enclosed malls in the US, however in other countries, they are extremely common anchors. In Italy, for example, just about every mall appears to have a hypermarket. 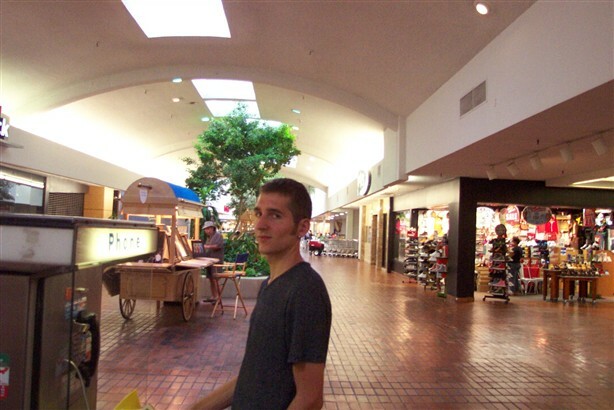 Robert, there is a mall in Panarama City, California that has a walmart as it’s anchor. In Lake Havasu City, AZ there is a wlmart at their mall, but I think it’s a outdoor mall. There’re plenty of enclosed malls anchored by Wal-Mart/Wal-Mart Supercenter. Here are all the ones I know of that currently have Wally World. In most cases, the Wal-Mart was formerly something else; a lot of the California ones are two- or -three-level stores in former May Co., Broadway or Macy’s locations, while others are leftovers from other retailers such as Ames/Hills, Caldor, etc. Also, Ashtabula Mall in Ashtabula, Ohio had a Kmart Supercenter anchor, the only mall based super Kmart I’m aware of. No problem. Also keep in mind that Wal-Mart as a mall anchor is VERY common in Canada. Every other Canadian mall seems to have a discounter and a grocer. this is back to Christown now..so all the locals never stopped calling it christown, so the developers changed the name back to “Christown Spectrum Mall”…there was one really nice shot with the chandellier in front of the Dillards, its awful how they just got rid of all that for sterile box stores. Christown might have received a shot in the arm with the new Phoenix Light Rail. The mall used to be on the northern edge of town. It was not expected until the 70s that Phoenix would ever expand much past Bethany Home Road (so named for a tuberculosis sanitarium). 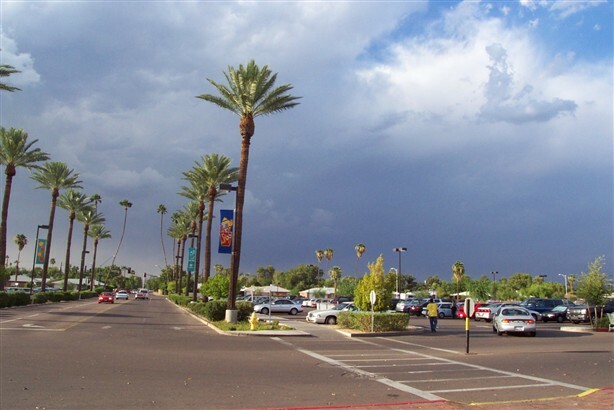 Now, in the center of the city, it is the north-western terminus for the Phoenix Light rail, a park and ride, and a bus terminal. The comments here are great! I’m a native Phoenician who worked at Christown in the 80’s when I was in high school. While it’s true that Metro stole some of Christown’s thunder, it was still a mall to be reckoned with back then. If you wanted to shop, but didn’t want the crowds then Christown was the place to do it. My mother worked at Christown in the 60’s and 70’s (we actually worked at the same place). She saw Bobby Kennedy from the roof above the main entrance when he visited Phoenix. You had to tell someone you were going up to the roof when you did as there was a self-latching door up there. If you didn’t put the stick that was up there in to block it, you were stuck. We used to watch Santa arrive every year and I got to see Wallace and Ladmo a few times. @Col. Mustard, Where did you work? Did “Bill’s Sight and Sound” carry records? I assume it was a stereo store of some sort also. I think that’s one of the stores that I remember from my youth. My grandparents lived in Mesa for 25 years so I’d head out there every summer with my mom back in the late ’70s through the late ’80s. We would always hit the local malls and theaters to beat the heat. I had a few favorites but I can’t remember the names of all of them. I do remember bugging everyone to take me to “Bill’s” one summer because I had remembered it from previous visits. 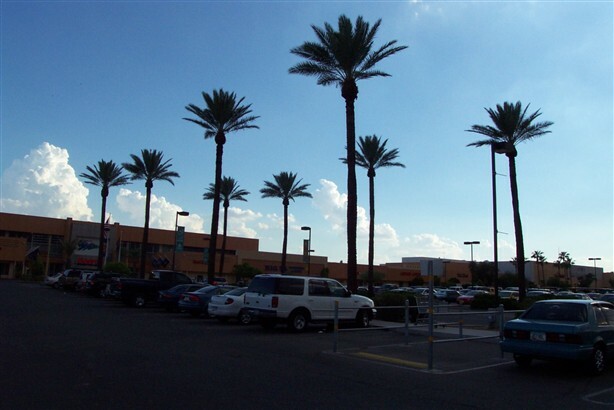 One of the other malls that I liked was the Los Arcos Mall in Scottsdale. I’m not positive but I think it had a store in it called “The Music Room.” I found a few rare records in there one time so that was another place I used to bug my grandparents to take me to. They didn’t always want to go there because it was a bit of a drive from Mesa. Another place I used to like to visit were some of the local Smitty’s stores. Being from Southern California we really didn’t have anything quite like that until Walmart came to town. Some of them were certrainly cooler than others though. There was a nice one across from the Motorola facility in Scottsdale that my grandfather worked at. We’d sometimes meet him there at lunchtime for a slice of Smitty’s pizza. It�s nice to once and for all locate a web site where the blogger knows what they are talking about. I ran the KayBee toys at the Christown mall in 88 and 89….I assume that area the store was located in has since been demolished ? I remeber going to the Miracle Mile at Christown with my Grandma back in the 80’s. One of my best friends from high school, his family owns the Miracle Mile deli’s. We used to work their site at the state fair just for free admission. My exwife worked at both movie theaters there. My ex mother-in-law worked at JC Penny’s and her mother’s boyfriend was an artist that used to do most of the signs you would see inside. That is back in the 80’s. Don’t forget Bert Easly’s fun and magic store, Wilson’s cameras and if you are old enough Farrells ice cream. I used to work at Christown Mall in the 70s. I worked at Switzers, Fashion To A T and a yarn shop. I lived nearby and went to Washington High. It was a really cool place to hang out in the 70s. I remember the janitors closet and awesome pizza at Pizza di amore. yum yum! I used to love The Broadway and woolworths near Montgomery Ward at other end of mall. And the deli . 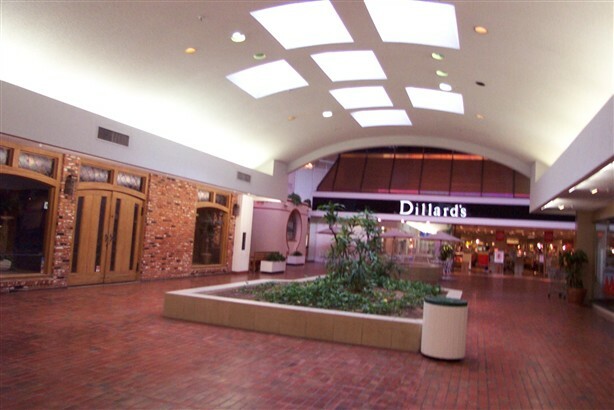 I remember Christown before the theatre and dillards end were added- It was very small before the renovation-just a little strip of malls up and back but it was still the place to hang out. I did go to a crazy movie once the theatres were added and another fav shop of mine was right below the escalators- Judys. aaaahhh memories!!!! Now I live in NY and have been searching old favs in phx on line. This was a treasure for sure! Thanks for all of the comments. Lots o fun! I came to this site looking for the name of and comments regarding a mall that I worked at in 1980 & 1981, just after college. I could not remember the name of it but it was located in Scottsdale just north of Tempe on N.Scottsdale Road. My husband worked part time at the Smittys on McKellips while pursuing his MBA. Thanks to Todd S. above, I now remember it was called Los Arcos Mall. I worked at the department store called Broadway Southwest (Broadway). The other anchor store was a Sears. It was a smaller mall, but always seemed busy. I think Los Arcos needs its own dead mall page!